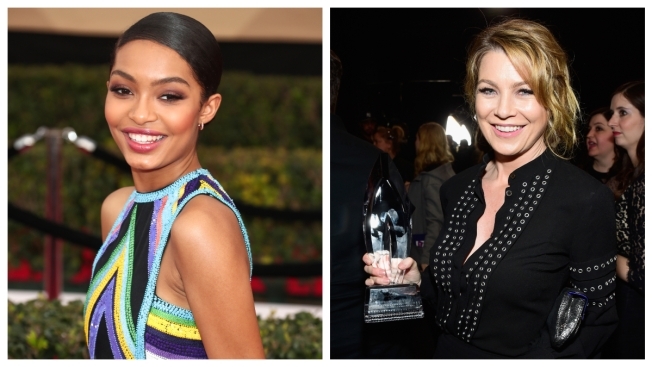 Yara Shahidi of "grown-ish" and Ellen Pompeo of "Grey's Anatomy" will be honored by the organization. Yara Shahidi will be honored by the Gay, Lesbian and Straight Education Network for her advocacy for girls' education at a gala later this year. The group known as GLSEN announced Wednesday that the "grown-ish" star will receive its Game Changer Award at its Respect Awards, presented in October in Beverly Hills, California. Shahidi has advocated for gender parity in science, technology and engineering fields. The group will also honor "Grey's Anatomy" star Ellen Pompeo for her advocacy for LGBTQ causes and pay equity in Hollywood. Twentieth Century Fox will be honored for its diverse slate, including the gay teen romance "Love, Simon," released earlier this year. "Will & Grace" creators Max Mutchnick and David Kohan will also receive awards. GLSEN was founded in 1990 to address LGBT issues in K-12 education.